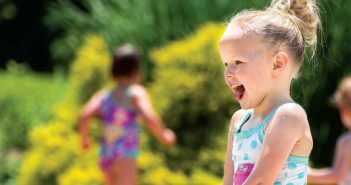 The lazy, hazy, crazy days of summer between camps and family vacations possess a certain charm, but the lack of structure can quickly become monotonous. If you want to add fun structure to your summer without having to do all the planning legwork yourself, consider utilizing the City Streets & Country Roads Artisan Trail, a newly-established network of local artisans, agri-artisans, art galleries, restaurants, lodging facilities, cultural sites, festivals, and museums—it encompasses Lynchburg as well as Amherst, Appomattox, and Campbell counties. 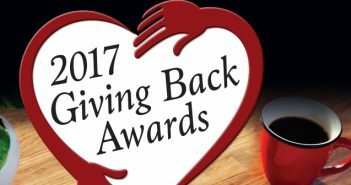 for the Artisan Center of Virginia. Although the specific path and activities you choose are up to you, the Trail’s Management Team has created suggested itineraries to assist in planning your excursions (see pages 30-31). Among the individuals and businesses already registered on the Trail is Gail Speidell Pottery in Amherst. “I was so glad to hear they had created a Trail our area,” she says. She believes that the Trail will be successful for herself and other artists because many people are just as interested in artists’ processes as they are in their products. “I think people like to visit artisan studios to see where and how the art gets made,” she says. The Art Box staff also relishes the opportunity to connect with like-minded individuals and entities. “Being on the Trail is an opportunity to associate with folks—in our own community and beyond—who make, appreciate, and value the same things we do,” Novak says. The City Streets & Country Roads Artisan Trail began its journey in the fall of 2016. Lynchburg’s Office of Economic Development & Tourism (LOEDT) (formerly The Lynchburg Regional Convention & Visitors Bureau) contacted the Artisan Center of Virginia to inquire about setting up a Trail for Lynchburg, and the ACV suggested including the surrounding counties. City officials then identified participants to form a Management Team made up of regional leaders to identify and recruit artists. Since the team’s first meeting on March 9, 2017, the Artisan Trail has garnered over 50 participants, and that number continues to grow steadily. Although interested parties needed to have signed up by June 30 to be included in the first production of the Trail’s printed brochure, enrollment will be ongoing for the life of the Trail. Interested individuals and organizations are encouraged to visit artisantrailnetwork.org to learn more about eligibility and enrollment. Visit the City Streets and Country Roads tab at artisantrailnetwork.org to learn more. Two sample travel itineraries are on the following pages. The evening before your excursion (6 – 8 p.m.): If you want your one-day excursion to be a full day of fun, consider spending the previous night at the Florence Elston Inn in Amherst. 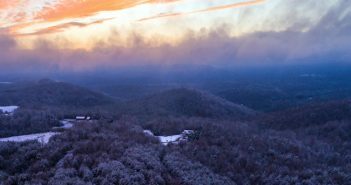 Located at the entrance of Sweet Briar College in the foothills of the Blue Ridge Mountains and boasting 38 beautiful, spacious rooms, this is the perfect launching place for a day trip. Mid-morning (8 – 10 a.m.): After a complimentary Continental breakfast at the Inn, attend your prescheduled* appointment at Gail Speidell Pottery. 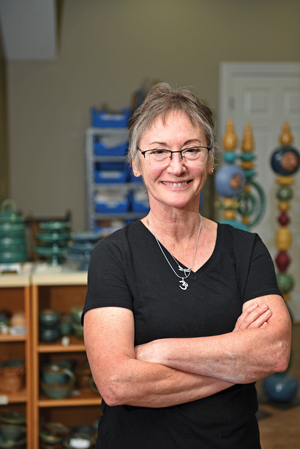 Gail loves to share her passion for pottery, which is inspired by her own life experiences, with others. Late morning (10 a.m. – 12 p.m.): Head to Lynchburg to visit the Lynchburg Museum atop Monument Terrace. 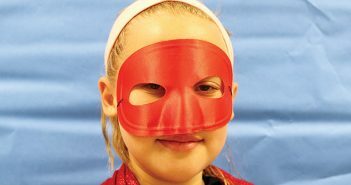 The museum offers an in-depth look at the people and events that shaped the Central Virginia region. Early afternoon (12 – 2 p.m.): Travel to Appomattox to eat lunch at The Babcock House, which boasts seasonal menus and Southern favorites made with the freshest ingredients. 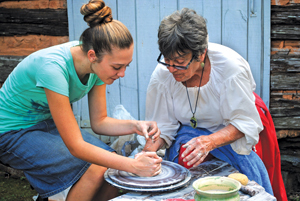 Late afternoon (2 – 4 p.m.): While still in Appomattox, venture over to Cub Creek Studio, where studio founder and ceramics artist John Jessiman, along with other artists-in-residence, hone their skills and exhibit their work. Early evening (4 – 6 p.m.): To conclude your journey, head to Brookneal to visit Patrick Henry’s Red Hill, the beautiful and vast last home and burial place of one of America’s founding fathers and Virginia’s first post-colonial Governor. Early evening: Start your weekend excursion in downtown Lynchburg by checking in to the Craddock Terry Hotel, which boasts spacious rooms, an adorable canine greeter (Penny Loafer), and charming nods to the building’s former use as a shoe factory. Evening: Unwind with an authentic Irish meal and a refreshing brew at Kegney Brothers Irish Pub. Look out at the James River and enjoy live music in this modern revival of the original Kegney Brothers, which was established in the 1800s. Early morning: Enjoy your complimentary breakfast (delivered in a vintage shoe box, of course) at the Craddock Terry Hotel. Mid-morning: Head to Kelly Mattox Fine Art Studio for your prescheduled appointment. Kelly loves working with bright colors, and her work reflects her personality with its boldness, energy, and sense of excitement. 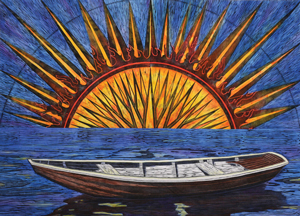 Late morning: The time for your next prescheduled appointment with mixed media artist Jill Jensen has arrived. Jill works with paint, original prints, and stitching to create one-of-a-kind pieces, and she also welcomes commissions. 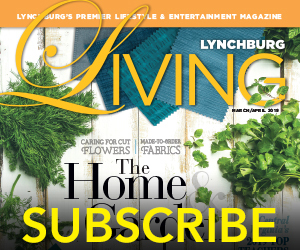 Early afternoon: For lunch, drive back downtown to the Lynchburg Community Market. Choose from several amazing food vendors and browse the wares of art vendors as you wait. Late afternoon: Take your lunch with you to the Old City Cemetery Museums & Arboretum and set up a picnic under one of the shade trees. 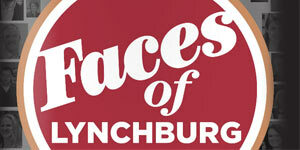 Then walk around and take in the grandeur of the most visited attractions in Lynchburg. Early evening: Head to the Maier Museum of Art on the campus of Randolph College. The Maier offers an incredible collection of American art and includes works by such artists as John Sloan, Georgia O’Keeffe, Robert Rauschenberg, and Jacob Lawrence. Evening: Enjoy dinner at one of Lynchburg’s many fine dining establishments (see lynchburgvirginia.org/restaurants/fine-dining/ for some top-notch options) before heading back to the Craddock Terry Hotel. 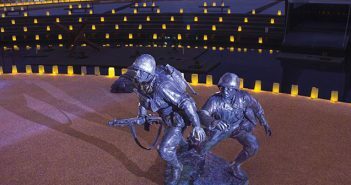 Early morning: Depart Lynchburg and head to Appomattox County to visit the American Civil War Museum, which boasts a comprehensive collection of artifacts and documents that detail events before, during, and after the Civil War. Mid-morning: Head to Kat’s Pottery, where your prescheduled appointment will allow you to meet and admire the incredible handmade pottery of Kat Ferguson. Kat’s work is inspired by nature and can also be found at Baines Books & Coffee on Main Street in Appomattox. Late morning: Your last stop is DeVault Vineyards, which is situated on 32 beautiful rolling acres in Concord. Visit the tasting room, request a tour, or time your visit with one of their many special events. The vineyard also boasts an Olympic-size indoor pool, basketball court, and children’s play area. *Before visiting an artist in their studio, set up an appointment in advance.